"The Cradle of Civilization. The Fertile Crescent. Mesopotamia. The Holy City. The Levant. The history of western culture and three religions can be traced back to the Middle East, and nowhere else in the western world can one travel back so far into the past. Some of the region’s top tourist attractions include the UNESCO World Heritage Site of Petra in Jordan, whose palaces and buildings were literally carved out of red stone cliffs back in the 6th century, and the Temple of Jupiter and other Roman ruins of Baalbek in Lebanon’s ancient Bekaa Valley. Now thanks to Eurobookings.com, Middle East tourism has never been so easy. Whether you’re visiting Afghanistan, Bahrain, Israel, Jordan, Kuwait, Lebanon, Oman, Pakistan, Qatar, Saudi Arabia, Syria, the United Arab Emirates or Yemen, Eurobookings.com can help you in your hotel search to find the best hotel deals available. Eurobookings.com lists many Middle East hotels close to many Middle East tourist attractions, across the entire expanse of the Middle East. From many of these hotels, Middle Eastern icons like the 500+ UNESCO World Heritage Site Medieval forts of Muscat, Oman and the Museum of Islamic Art in Doha, Qatar are only a short walk from the front door. If you’re looking for a luxury resort, Middle Eastern countries around the Persian Gulf are the places to go. For example, Dubai hotels boast the most cutting edge design on the planet, whether they are built to look like a sailing boat or whether they provide views of the city’s famous man-made islands and the Burj Khalifa, the 828 metre high tallest building in the world. Luxury hotels can also be found in every Middle Eastern capital city, from Amman in Jordan to Kuwait City in Kuwait and to Sana’a in Yemen. 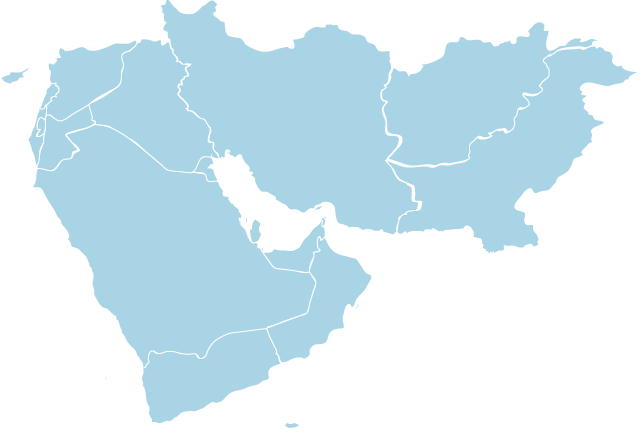 If tourism in the Middle East is popular in the Gulf States, it’s also popular in the state of Israel, whose capital Jerusalem is important to Judaism, Christianity and Islam. From the five star hotels overlooking the Mediterranean in the new city of Tel Aviv to the discount rates hotels just outside the Old City of Jerusalem, there are many accommodation choices throughout the country. But what about all the places in the Middle East that are off the beaten track? Places that attract the more intrepid traveler or the business traveler whose occupation takes them to where the business is? Eurobookings.com is there for you too. For example, Eurobookings.com doesn’t just offer Kuwaiti hotels in Kuwait City. There are also hotels on the website Al Jahra, Al Sabahiyah, Fahaheel, Farwaniya, Fintas, Hawally, Mahboula and Salmiyah. In fact, there are hundreds of Middle East travel destinations on Eurobookings.com that you’ve probably never heard of. If you want to travel to Damascus, Syria, we list hotels there, as well as in the Syrian cities of Aleppo, Latakia and Palmyra. We even have hotels in Kabul, Afghanistan, as well as the holy cities of Medina and Mecca in Saudi Arabia. And to make your travel to Middle Eastern destinations as worry-free as possible, Eurobookings.com provides you with all the information you need about every one of its hotels so you can make an informed choice with confidence and then book your room for a great price without even getting up from your computer. "